Wanna start on collecting coins? There are many reasons why one collects coins. There are collectors who collect on the basis of the coin’s future perceived value, some collect coins coming from just one particular period, some on metal type and some for a coins historical value. Coin collecting is something that dates back to the when coins were first issued for trade. It was only in the Middle Ages that people turned this into a hobby because of the art work and the historical value. Coin collecting today is still a hobby that many people enjoy. 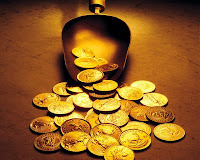 One of the most precious and most expensive collections that anyone can ever have are those of gold coins. Gold coins were one of the oldest forms of money. Since gold coins can longer be used to purchase merchandise most coin collectors just keep them to remember that people once used them. This was later followed by silver coins. A lot of people retain gold today as an investment because they speculate that the demand will cause its market value to increase.